What do space shuttles and backcountry skiing have in common? According to freeride skier Cody Townsend, it’s a relationship that stems from an explosion and a theory. Better yet, he’s adapted a method of assessing off-piste risk based on that relationship. In 1986, the world watched as the NASA Space Shuttle Challenger ignited into a ball of flames just 73 seconds after liftoff. The tragedy was linked to a system flaw that contractors knew about but continued to ignore, because the dangers didn’t have a direct and immediate effect on shuttle performance in previous launches. After the crash, American sociologist Diane Vaughn created a theory, “The Normalization of Deviance,” to address the behavior contributing to the event. The theory centers on examining the people involved with an accident, why the accident occurred and how bad behavior can be normalized if negative consequences don’t proliferate. Townsend first applied the deviance theory to his own behavior while filming for the ski flick, “Conquering the Useless.” He was about to dive into an intensely steep line on British Columbia’s Le Duc Wall, a snowy open face of spines and large cliff bands—the main objective on one of the last days of filming. As he and his group began to skin up, they noticed rapid warming and changing in the snow conditions. It was at this point that Townsend connected what he was experiencing with the theory of Normalization of Deviance. The realization led him and his group to walk away from the potential hazard. While preparation and knowledge of snow safety are crucial, self-control and healthy boundaries are also key ingredients for safe days out of bounds. 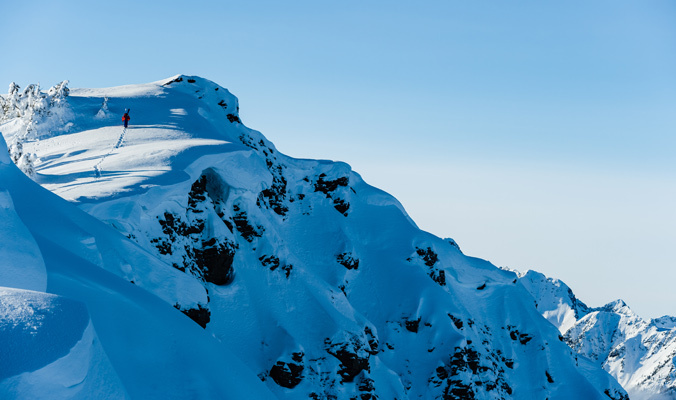 To set these boundaries, Townsend now uses what he calls the “five red flags,” an indicator system developed by big-mountain freerider Jeremy Jones. 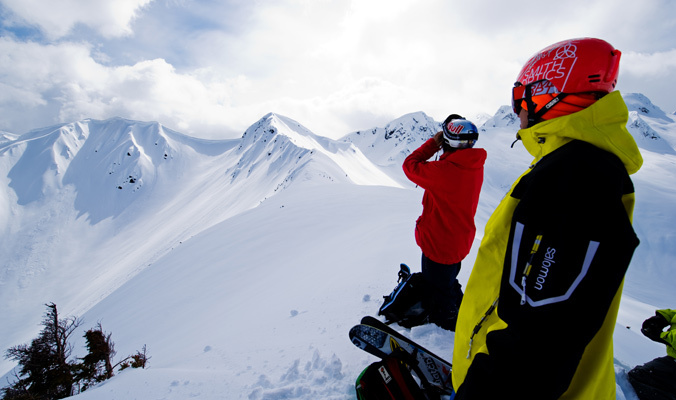 The system is based on how to judge avalanche conditions on any given day. The five factors are: new snow accumulation, winds and snowdrifts, signs of recent avalanches and collapsing or cracking in the snowpack. Consider all of these factors before deciding whether to head out for the day. 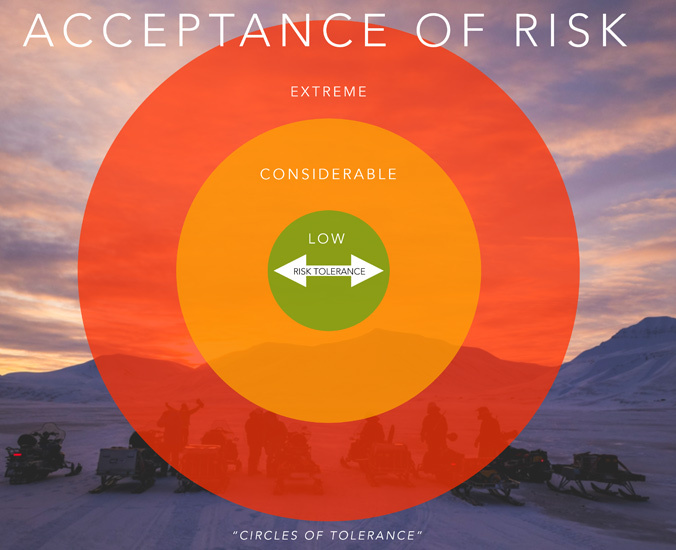 To weigh these observations and help make calculated decisions, Townsend created an acceptance risk diagram. The chart, which includes the same extreme, considerable, and low danger values as an avalanche advisory and is formatted in a bulls-eye, is used to gauge risk tolerance and judge hazards. “Objective hazards are a fixed thing; they are always there,” he says. This diagram, meanwhile, is a method to quantify subjective hazards. Townsend uses a cornice example in Alaska as a test study for his diagram. 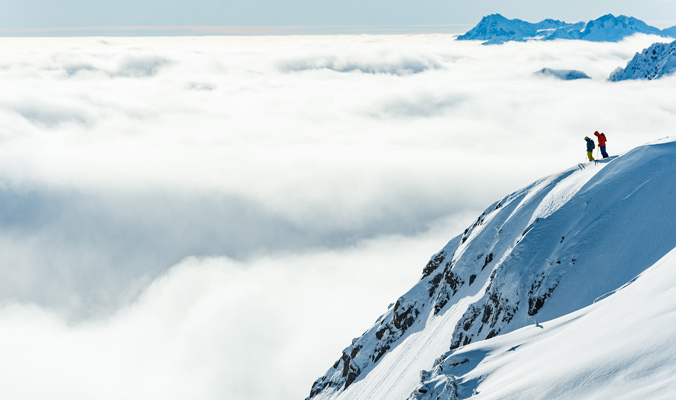 When he first approached a certain Alaskan cornice, he knew in his gut that there was an inherent danger in this feature (low-risk tolerance). Even with this in mind, he inched closer to the edge (moderate risk). Eventually, on his fifth trip to Alaska, his partner inched too close and the cornice cracked (extreme risk) sending his partner on a 2,000-foot tumble. Luckily he miraculously came out alive, but they had accrued too much risk and paid the price. This scenario often comes into play during the group decision-making process. If the perceived group leader fails to point out crucial aspects of the conditions or starts to break the rules, the rest of the group may begin to do the same, thus ignoring potential warning signs. To see more of Mattias Fredriksson’s photography, visit www.mattiasfredriksson.com.